Matthew is a Solicitor at CFG Law with 6 years’ experience in personal injury. 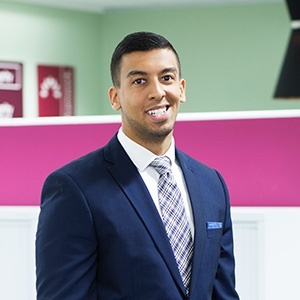 Matthew combines a genuine want to help people with an honest attitude to ensure a first-rate service for his clients. He understands that treatment and rehabilitation are paramount when helping people with life-changing injuries and should never be an afterthought to the claims process, but run in parallel with it. Matthew has raised money for several charities by participating in various events. Offering a listening ear to clients and giving them someone to talk to when things may be difficult. Analytical approach and careful consideration of all aspects of the claims process to get the very best result. Breaking down any legal barriers so clients can easily understand the process and what is happening in their claim. Having the ability to help people and make a difference in their circumstances. The firms attitude towards rehabilitation and making this an equal priority in the case to the legal process. The welcoming working environment and friendly colleagues. Evolving new technologies to improve the lives of seriously injured people. Developing a greater understanding of the long-term financial requirements of the severely injured. Travelling and exploring the World.